"Be Prepared to Make Your Own Health Decisions"
Above Paperbacks also available thru Ingram worldwide distribution. Cancer is recognized as a serious threat to just about everyone alive today. Soon it will overtake heart disease as the leading cause of death. As for the 'War on Cancer', it has been an abysmal failure after 40 years and hundreds of billions invested, yet cancer rates are increasing yearly. The truth is they have abandoned seeking a cure because the real money is made from treating cancer. The lack of progress can be attributed to the greed of Big Pharma and the Medical Cartel that has controlled American medicine for over 100 years. Sadly, hundreds of billions in drug profits take priority over the health of Americans. The book compares orthodox cancer therapy (limited to surgery, radiation and chemo) to natural therapies many of which have succeeded in curing tens of thousands of terminal patients. But despite this success, they have been persecuted and suppressed by the government. Tribute is paid to research visionaries, especially biochemist Dr Otto Warburg, who was awarded two Nobel Prizes for his groundbreaking discovery of the generic cause of cancer. Yet American medicine has shunned his discoveries in favor of orthodox cancer treatment. In addition to the investigation of various natural therapies, the book sheds light on the workings of the Medical Cartel, while in the background three dramatic stories of couples struggling against cancer unfold. Those patients subjected to orthodox therapy without being given a choice are trapped in the 'Cancer Vortex' with little hope of recovery. The fact is, cancer exists in all of us, but it can be controlled with knowledge, self discipline and a healthy immune system. 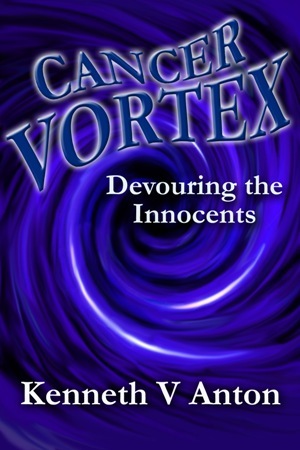 This book exposes fraud in the cancer industry while emphasizing the advantages of several natural cancer cures developed by some of the top biochemists of the last century. Obamacare, designed by the Medical Cartel, represents a giant step backwards whereas a new system designed from the ground up is needed to create truly affordable healthcare for all without intrusion and policing by the government. An Illuminating series of videos and a full seminar by Dr David Belk revealing the absurd nature of medical pricing.